If you’re into poker, you’re going to see the tournament format touted as a good opt-in for many players. In many ways, it definitely is — you get a chance to play against a lot of different players who carry around a lot of different strategies. This is truly going to sharpen your skills but it can be an exhausting experience. The satellite tournament is special for a lot of different reasons. For starters, you’re going to be immersed into a really nice benefit: you get to compete for something greater. Most people have a dream when it comes to poker. The want to win a lot of cash, meet famous poker players and have a good time. Being admired by fans around the world doesn’t hurt either. If you’re going to make sure that everything is lined up nicely for this type of thing, you’re going to need to make sure that you really dig in deep to get the full benefit from satellite poker tournaments. They connect you to some of the poker world’s most famous events, such as the World Series of Poker. It’s also a good way to buy your way into big events like this without having to pay nearly as much as you would the normal way. Tournament play isn’t ring game play. You’re going to have to figure that out before you do anything else. It’s tempting to treat them as the same thing, but you’re going to be disappointed. There are just too many variables in tournament play. You might try to bluff, but be disappointed when someone else calls you out on your bluff. That’s just not going to be what you really want to focus on. You want to go with solid poker theory. Yes, that means that you might have to fold hand that you’re pretty sure are going to be amazing. But the truth is — it’s often better to be safe than sorry. Tightening up your game is something that a lot of new poker fans do not want to do at all. But do you really want to gamble so hard on a single hand that you get knocked out of the entire tournament? Not all tournaments offer re-buys, so you could be just a spectator when you could have been a competitor. Having options in poker means figuring out what’s going to work for you. 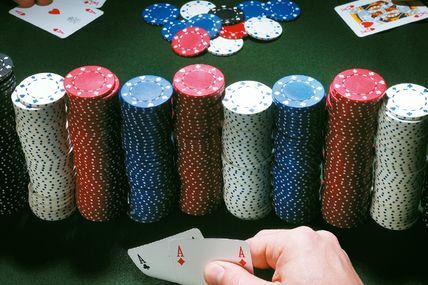 If you’re really serious about getting into satellite poker tournaments, you will definitely need to practice a lot. If you aren’t tracking statistics right now, you will definitely need to do that. Otherwise, how do you know when you’re getting better? Numbers truly don’t lie, and it’s important to grasp how important that is as well. Keep your head up — the road ahead of you is long, but the money is well worth taking the risk! This is offline poker, but hey — you travel eventually, right? Absolutely! Sometimes it’s nice to get out of your house, go on holiday, and still play some amazing poker. If you have been in the gambling scene for a while, you’re already very familiar with PokerStars. This is the world’s largest online poker site, and it recently announced that it’s teaming up with Casino Gran Madrid — the premier casino destination in Madrid. The purpose? A whole new poker room! It’s going to have 20 tables to accommodate nearly 200 players. The room will be open during the first quarter of 2013. Casino Gran Madrid has already worked with PokerStars in the past, hosting the 2011 PokerStars European Poker Tour Grand Final, as well as the 2012 EPT Madrid. What can you expect from the new poker room? Plenty! 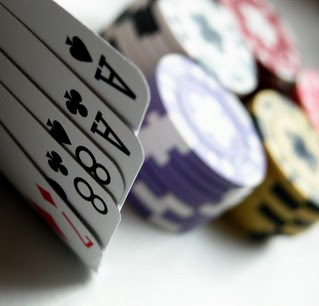 Daily poker tournaments with a wide range of buy ins. This isn’t going to be just for high rollers only — there’s going to be something for everyone. The European Poker Tour covers Spain quite often — but Madrid has been off the radar for a few years. Maybe this is a sign that Madrid will be back on the scene, but only time will tell. Mastering live game is a bit different than online game, and knowing how to handle both is really the name of the game. It’s easy to get too lost into the online world, but getting out and meeting new people tends to make your game even tighter. You get to practice the psychological part of poker. After all, you have to be seen by other players. PokerStars in definitely trying to raise the bar in many ways. 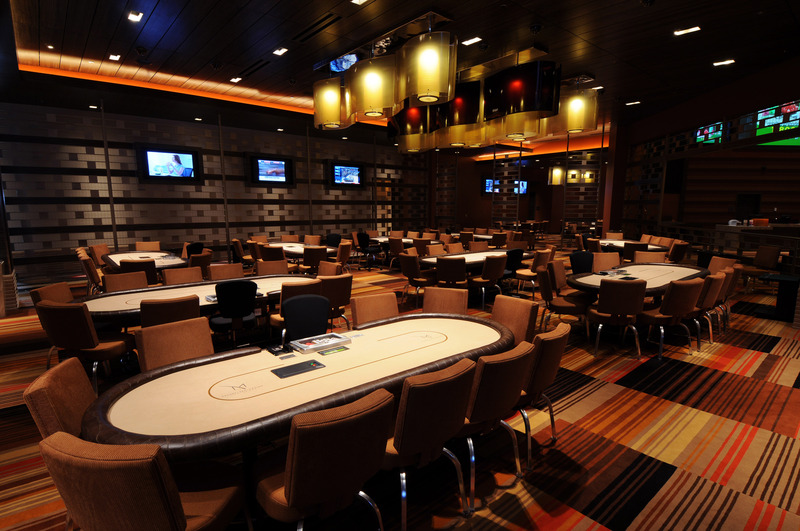 In October of 2012, PokerStars teamed up with London’s Hippodrome Casino to upgrade and renovate the poker room before rebranding it with the PokerStars name and logo. PokerStars has also taken a stake in the casino and will provide the technology for Hippodrome’s online poker offering, whenever that happens. PokerStars has also splashed their name over the tournament room at the Grand Waldo Entertainment Complex in Macau — another neat travel destination for jet setting poker players. PokerStars hasn’t ignored the US market, which might be a sign that they’re trying to beat their way into the market in the event that legislation changes for the online gambling scene. They are discussing purchasing the Atlantic Club Casino in Atlantic City. AC has long been a real fun destination for gamblers, but now it might be even more entertaining. The price tag? $50 million of course, but this isn’t too high of a price for PokerStars to handle. There’s plenty of great news in the poker scene, so don’t think that it’s all doom and gloom, you know! Give New Poker Sites a Fair Shake – There’s Money in It! When it comes to poker, it’s all about one thing: money. Indeed, there are some people that want to play poker just to play poker, and they don’t even care if they win anything or not. That’s why you see a ton of poker games on Facebook. They’re good for killing a weekend in a pleasurable way, but it’s not going to give your bank account a boost or make you feel anything special if you win. Sure, you might take out some bored housewives here and there, but is that really going to give you the rush that you’re looking for? Not really. That’s why you need to always be looking up new poker sites. It’s a fair way to find something that’s going to give you the rush that you’re really craving. It’s not enough to just win — you want to dominate. But more importantly, you want to conquer people that live and breathe poker more than people who aren’t really all that committed. You’re going to need to make sure that you can focus on the road ahead and really make sure you get the type of competition that you’re really looking for. That’s the best approach that we can recommend. Aside from better competition, looking at more poker sites will also allow you to take advantage of bonuses. While a lot of people are starting to get weary of bonus hunters, we think that there’s nothing wrong with looking for the best bonus that you can honestly find. If you aren’t always tucking extra money into your bankroll, you will eventually run out of money faster than you might expect. When you look at all of the tournaments and other table events that require money, you realize right away that you’re going to need a lot more bankroll than you expect. You might want to take whatever starting amount you have and double it — and that’s just to get really rolling on your poker goals. You want to account for the bad beats that will come your way as well as the times that you’re just not playing your best game possible. Overall, there are tons of poker rooms coming out, and they all have something interesting to offer. It’s going to just be a matter of checking out things in your own time. If you want to really expand your poker horizons over time, then you really owe it to yourself to see what’s out there! There are many mistakes that players make that are playing the game of Texas Hold’em, and these mistakes can be made by both those that are just beginning in the game and those that have played for years. The problem with making these mistakes is that they do define the person as a good player or not over time and can lead to tons of money lost when looking at the lifetime of the player. One of the bigger mistakes that people make is cold calling raises. This is basically where the person puts in multiple bets when it is their turn to bet into the pot. Though most people think that this is okay, they will find that it can be a serious problem. There are several reasons as to why this is an error that a person is making. They will find that the players before them liked their hand well enough to raise their bet, thus what is to say that their hand is not better than yours? There are players that are after you, which could mean that you end up betting even more because they raise their bets as well and it could mean that they have hands that are better than yours as well. In either situation by the time that the betting gets around to you it could be so steep that you are not comfortable in playing and basically have lost all the money that you put into the pot. When you are in the situation in which the bets keep getting raised and the longer that this goes on the chances are that their hands are better than yours. However, the good news is that if you have one of the best hands that can be mathematically possible that you should go ahead and raise your best, This would be having two aces, two kings, two queens, two jacks, and an ace and a king suite or unsuited. These hands are some of the best that you can have and can ensure success. 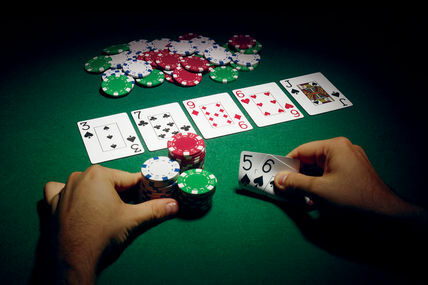 There is only two times in which you should raise the bet when you are playing a hand. The first is when you know that you can win and only want to sweeten the pot for your win. The other is to eliminate other players that may not feel comfortable to go with such high raises. The main thing to remember is that you only rise if you think that you can win and have a combination that is going to be hard to beat.